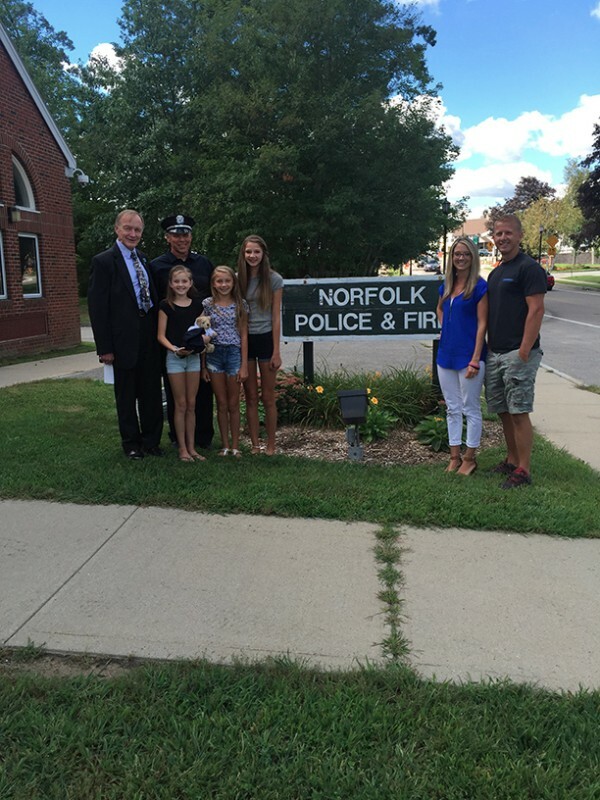 On August 28, 2015, Cops For Kids With Cancer went to the Norfolk Police Department and made a $5,000.00 donation to the family of Leigha Hedtler, an 11 year old girl from Attleboro, who has Melanoma. In photo left to right, Det. Lieut. Bill Coulter, CFKWC, Sgt. David McConnell, Leigha, sister Julia, Sister Kayla and parents Colleen and Jason Hedtler.